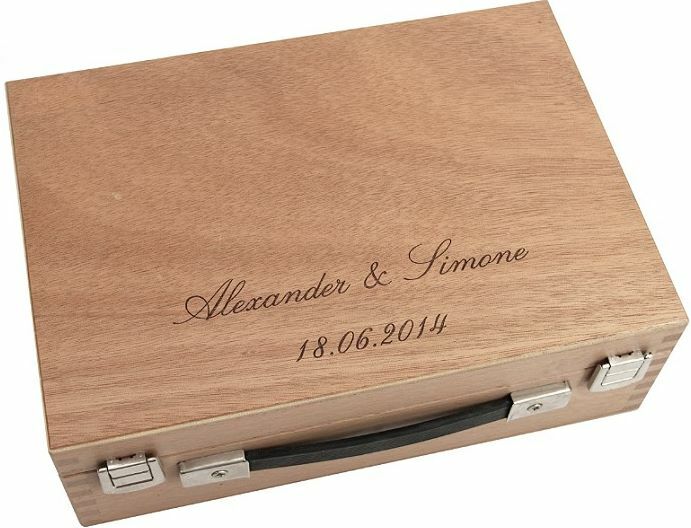 Beautiful wooden case for 6 boules as personalized item with engraving for a perfect present or perfect award. The size of the wooden box is approx. 27 x 19 x 9 cm and the weight is approx. 760 g.
A great idea for a special gift you´d like to give to your family, friends or people you like: An engraved wooden case for boules.